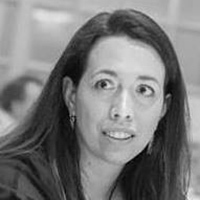 Marianela López-Galdos is the Director of Competition and Regulatory Policy and the Computer and Communications Industry Association in Washington DC. She has spent the past five years at the George Washington University Competition Law Center as the Director of Research Projects in Comparative Competition Law Policy. Before that she was a competition policy consultant at the World Bank, an international legal consultant at the Federal Trade Commission and a compliance attorney at the Inter-American Development Bank. She earned her doctorate in law at George Washington University under Professor William Kovacic, Master of Laws (LLM) from Georgetown Law School and the College of Europe Bruges, and her law degree from Universidad Pontificia DeComillas in Madrid.